From CalArts to Art Center, MOCA to LACMA, Noah Purifoy to Noah Davis, Los Angeles has long been a repository for avant-garde art schools, institutions and artists. 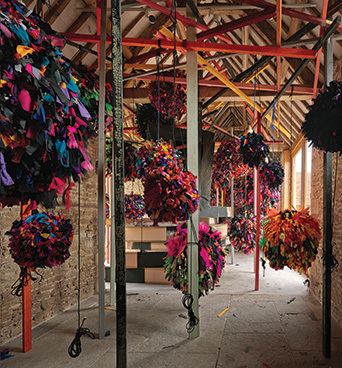 Over the past decade the market has taken notice, triggering a veritable land rush amongst international and local galleries opening new spaces, capitalizing on the city's cultural renaissance, cheap rents, and seemingly endless pool of young talents who are setting art fairs afire (like Paris's FIAC, which makes its LA debut this year) across the globe. 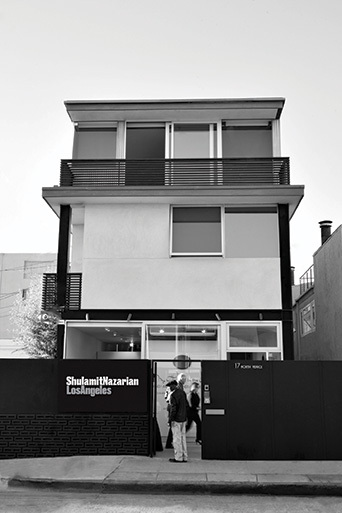 "Clearly people are moving here and places like Detroit because New York is getting too expensive for artists to live," says Austrian-born, LA-based gallerist Nino Mier, whose year-old Mier Gallery (with its hip roster of American and European discoveries) is breathing new life into the budding Hollywood scene that also plays host to new spaces by Various Small Fires, LAX Art, Kohn Gallery, Regen Projects, and Hannah Hoffman. "I always admired Patrick Painter's vision — his ability to show both relevant but rather unknown International artists as well as some of L.a's finest — and I want to bring that same energy to LA. The collector may not be as engaged here as he is in New York per se, but the awareness of the art world is definitely here and people are engaged with it more and more." 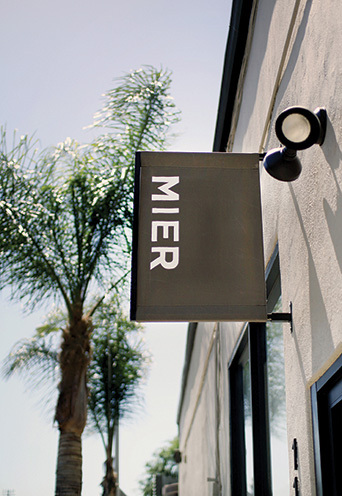 Mier cites the arrival of Berlin's blue chip Sprueth Magers, across from the Los Angeles County Museum of Art, as a prime example. The German gallery is just one of many international heavyweights making the move. Downtown recently welcomed London's Ibid and this March the Zurich-based Hauser & Wirth will open Hauser Wirth & Schimmel, a 100,000 square foot space that will stage museum-worthy shows inside a former flour mill complex on East 3rd Street. They'll be joining New York transplants Venus Over Los Angeles (Adam Lindemann's west coast branch of Venus Over Manhattan) and Maccarone, who also took relatively sprawling spaces in the warehouse district. "Even the most up-and-coming gallery here in Los Angeles has to be more international," says Paul Schimmel, the former chief curator of the Museum of Contemporary Art Los Angeles, who is now a principal in the new Hauser space with Iwan and Manuela Wirth and Marc Payot. "LA was a more provincial city in the Sixties and Seventies but it evolved enormously in the Eighties and Nineties and people are more aware of it over the last fifteen years. The artists made the change, but the institutions and the collectors irrevocably altered it." 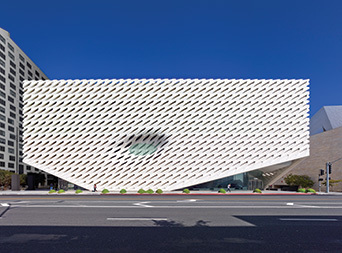 The biggest alteration comes courtesy of The Broad, the futuristic museum across from MOCA's Grand Street outpost housing the collection of top LA patrons Eli and Edythe Broad. Since its September opening the institution has welcomed some 200,00 visitors and its advance tickets are already booked through February. "I think a lot of this shift has occurred as a result of the art market growth in Asia. As collectors and institutions in Asia, in particular China, have grown in power and funding, the west coast market in the US has increasingly become a focal point. LA has been ready for a long time to be an art metropole in terms of the caliber of its galleries, museums, and artist residents, however, with the introduction of the Broad into this mix, we are more ready than ever to be relevant to a global audience," says collector-turned-gallerist Shulamit Nazarian, who has been exhibiting work out of her home since 2006. In 2012, she opened an eponymous space, which primarily shows works by Israeli and Middle Eastern artists, next to the beachside LA Louver in Venice, which also recently welcomed an outpost of New York's Team Gallery. While Nazarian loves the growing community of west side galleries and the neighboring Culver City Arts District, she, too, is planning to open a new space in Hollywood later this year. "As we move forward, we want to work with artists who don’t feel limited by scale and I think that moving to Hollywood will facilitate this." The (track) lights are only getting brighter in Tinseltown.